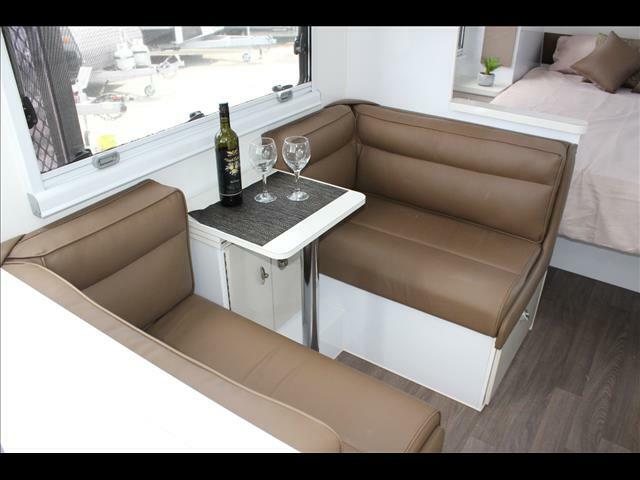 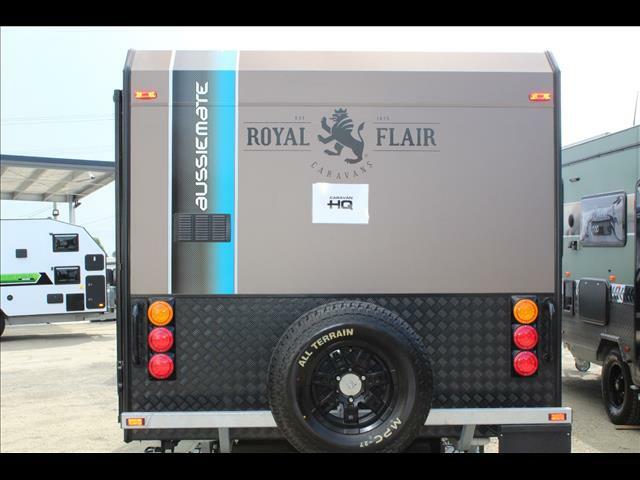 2017 Royal flair Aussie Mate 19&apos;8 with AM-DLX-2 package. 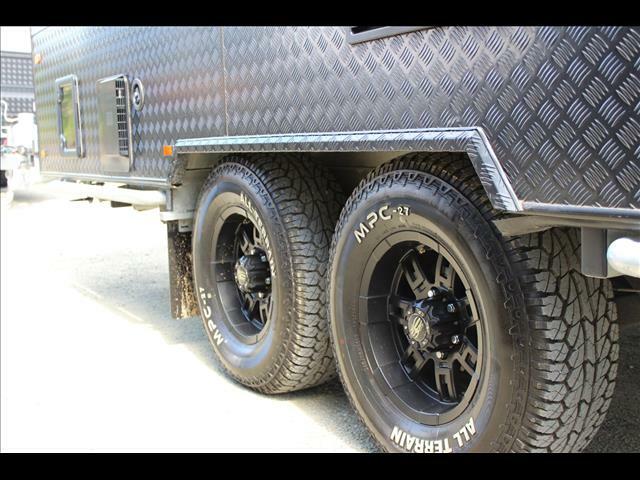 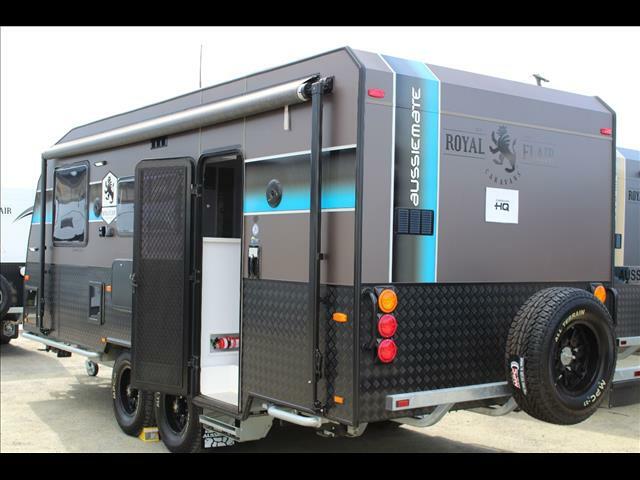 This is a true off roader with galvinised chassis, honeycomb composite floor and Control Rider TS suspension. 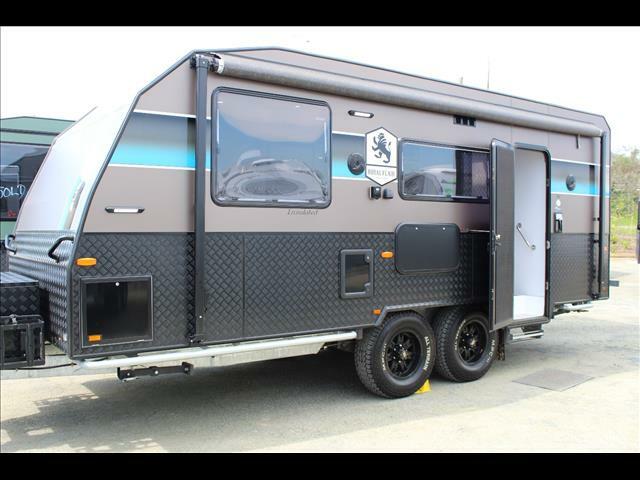 The Aussie Mate off road caravan is a no nonsense off road caravan that will stand up to what Australia has to throw at it. 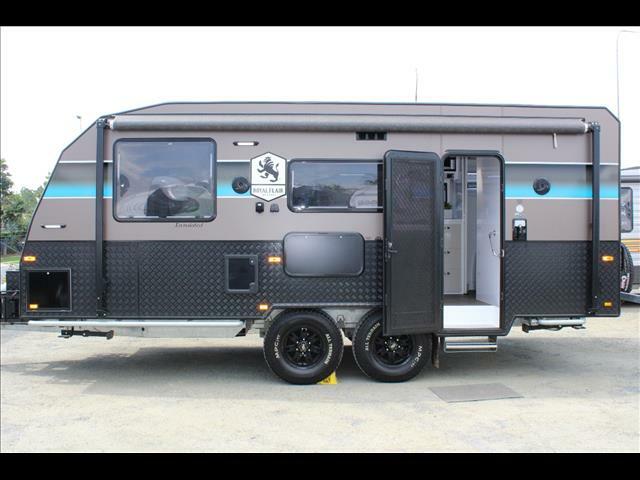 Unlike other off road caravans this is a real off roader, not just a road van with big wheels and tyres. 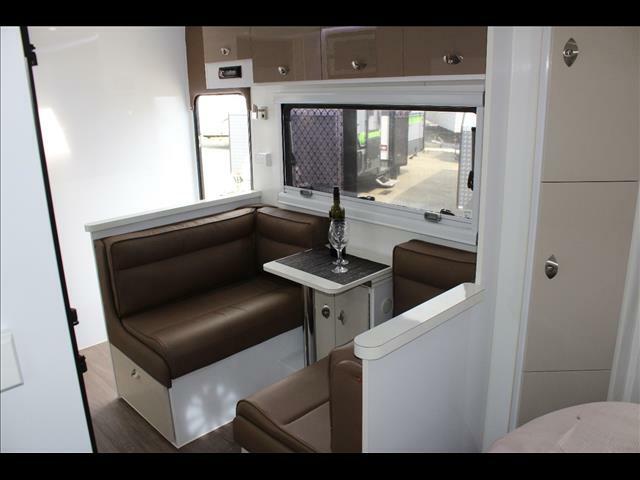 The Aussie Mate off road caravan has a one piece Honeycomb composite floor that saves weight, is stronger than along with no deterioration like timber and will not let in water, dust or cold breezes. 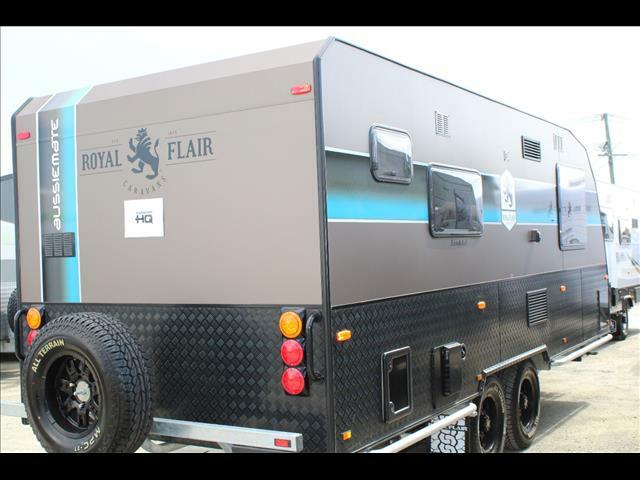 Royal Flair have opted for a galvanised chassis with Control Rider TS suspension, it has 4 wheel independent suspension with two shocks per spring to keep things under control. 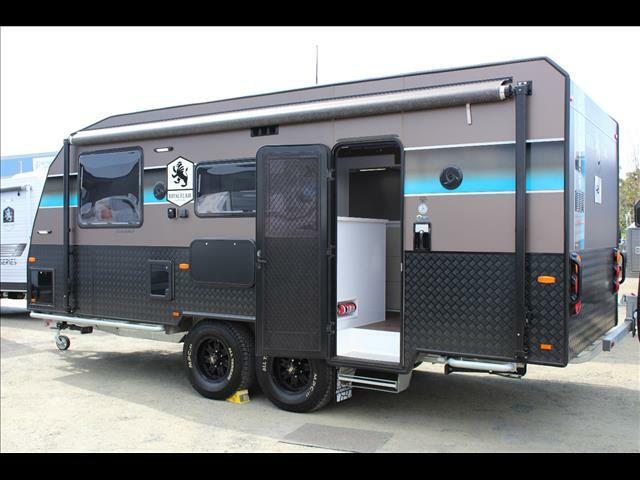 You will find the usual suspects you would expect to see on the outside of an off road caravan like slide out BBQ/Weber, drop down picnic table, 240v and 12v outlets, stabilizer legs and off course a DO 35 off road caravan hitch. 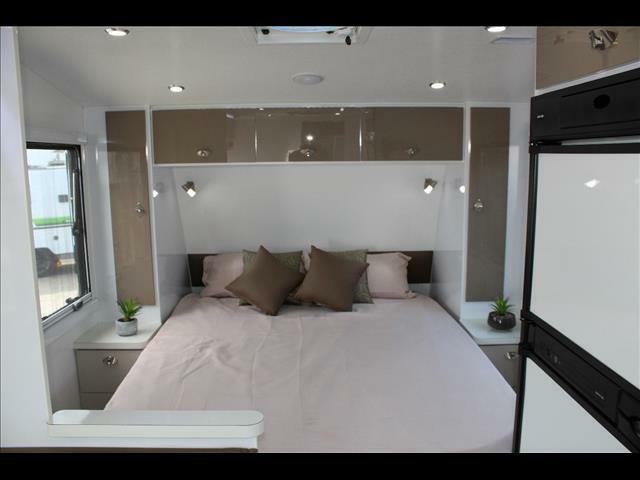 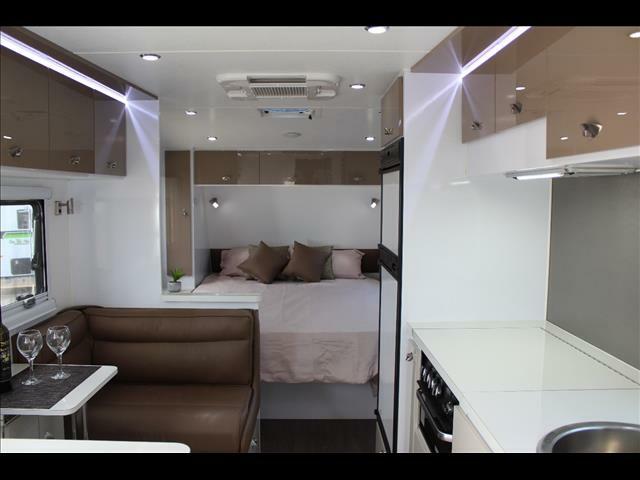 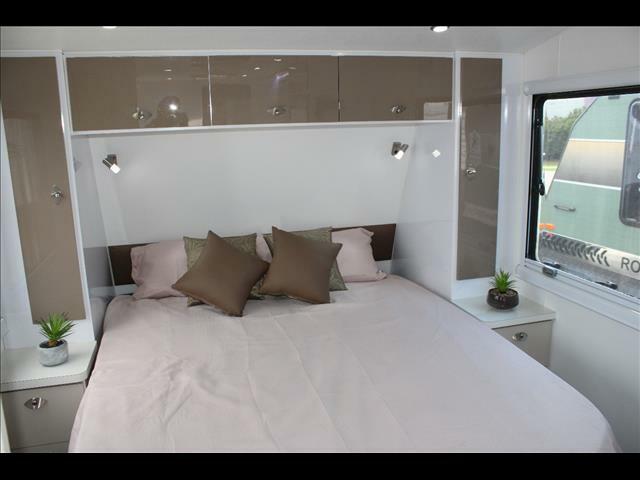 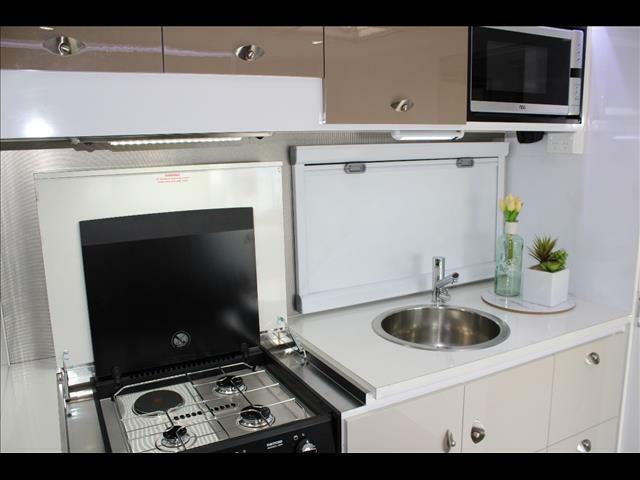 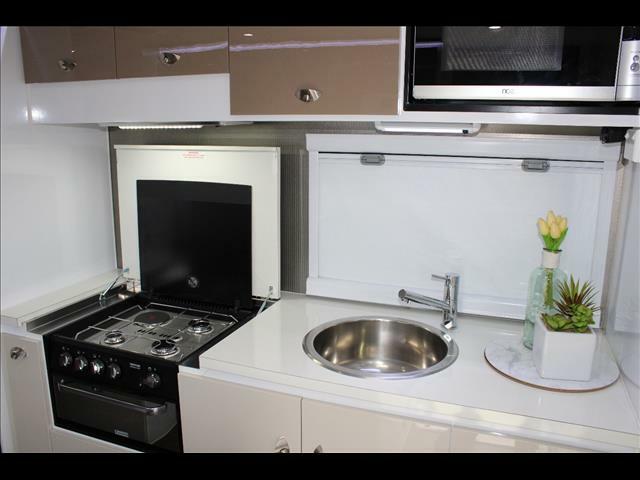 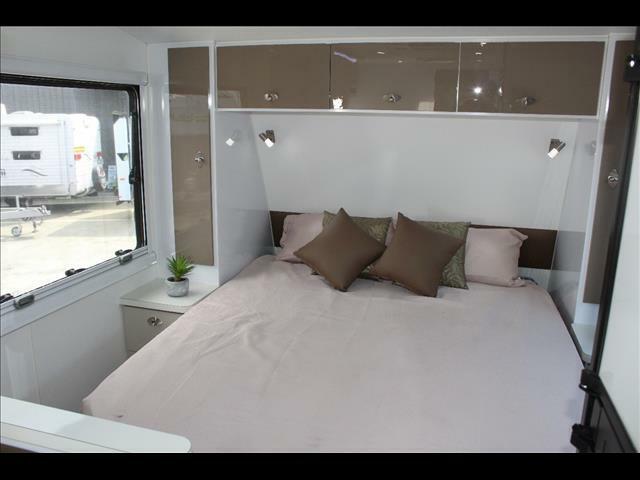 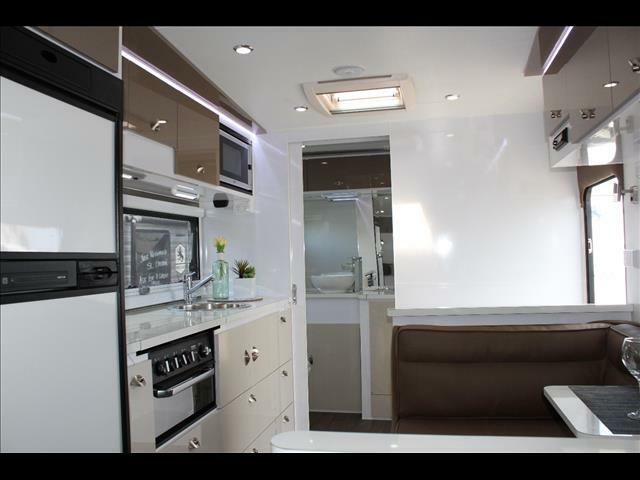 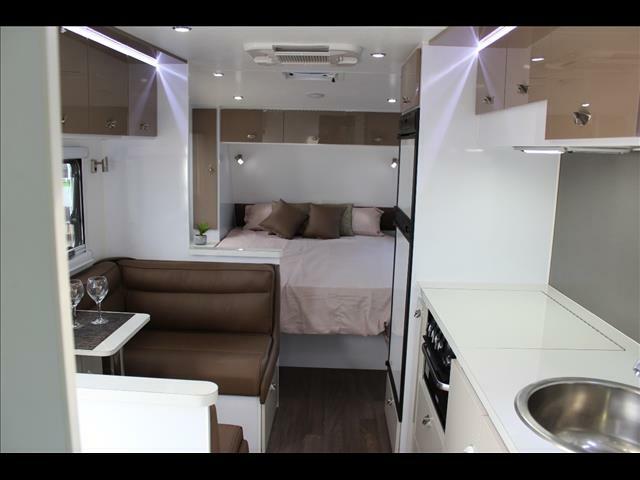 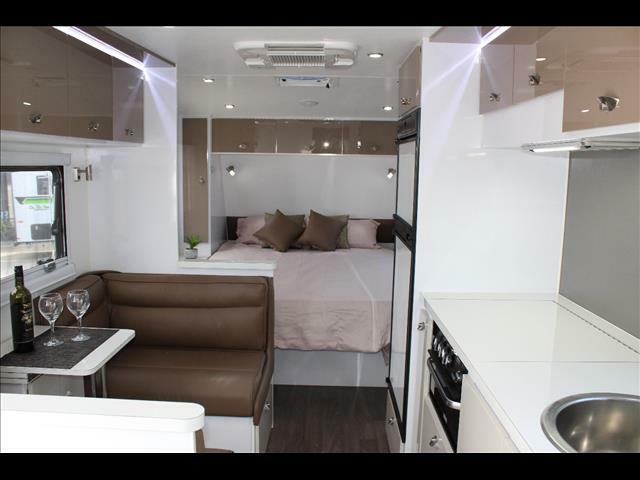 Inside is more like a 5 star resort than an off road caravan, there is plenty of storage space, a large cafe style dining area, 4 burner cooktop and grill with a rangehood and microwave. 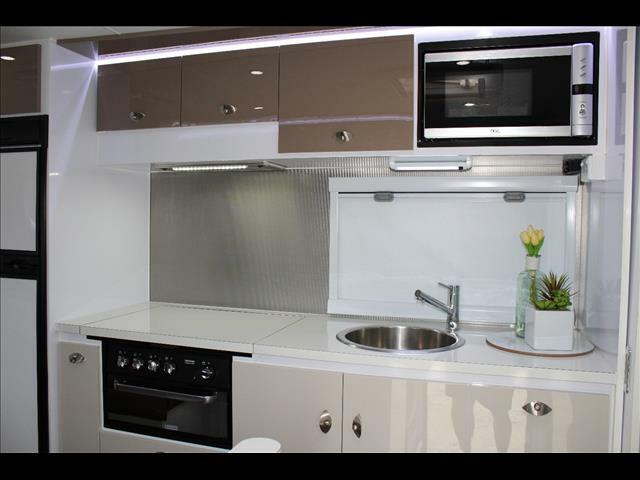 A 186 Litre Dometic fridge takes care of keeping drinks chilled and food right. 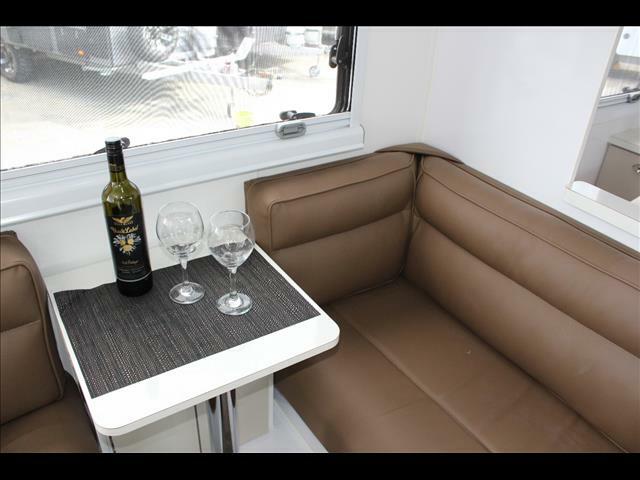 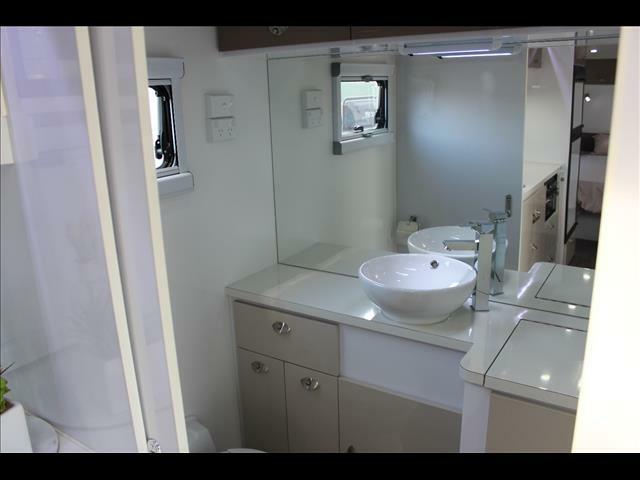 You will be comfortable with a reverse cycle air conditioner, Annahide upholstery, full size en suite and a washing machine to keep you on or off the road for as long as you desire. 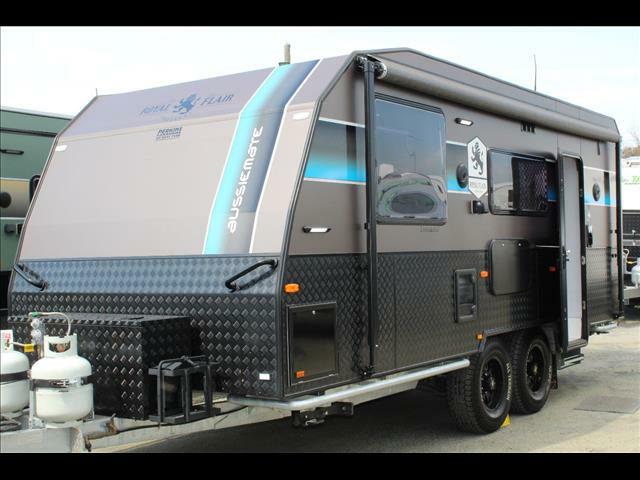 Free camping and staying in the most remote areas you can find will be a breeze with 2 fresh water tanks, solar, gas bottles and batteries. 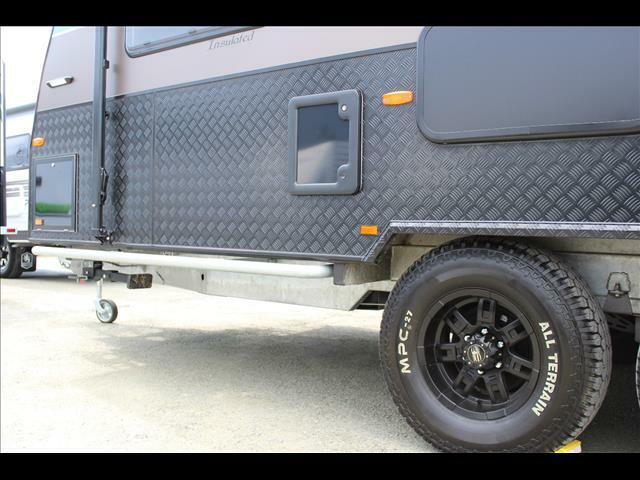 Contact us and let us help you with your next off road caravan today.